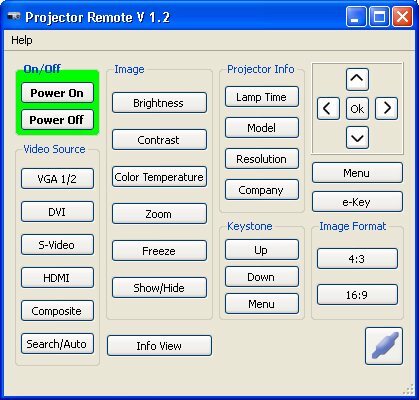 Projector Remote is a free projector remote software to remote control Acer video projectors via RS-232. Primary written for Acer P5280 and Acer P7215 but might work for other models as well. Version 2.0 and higer supports Vivitek projectors as well.